The decades-old 3.5mm audio jack can rest in peace. As expected, Apple has removed the 3.5mm audio jack in favor of the Lightning port in the iPhone 7 andiPhone 7 Plus. This would be the only port on the new iPhones whether you want to plug in a pair of headphones, charge the iPhone or connect any other accessory. This is going to be a fairly unpopular move, one that has even prompted Apple co-founder Steve Wozniack warning days before the launch event that Apple could tick off many users. However, this is not new for Apple. In the past, Apple has faced flak for removing the floppy drive from the iMac, the CD ROM drive from the MacBook Air and even the Ethernet port. Apple has never been afraid to remove old technology to usher in newer, better technology that might take a couple of years to go mainstream. Someone had to do it, would be Apple’s reasoning. However, just like having a single USB Type-C port in the new MacBook where users would have to choose between charging their laptop or using an external device, the removal of the 3.5 mm audio jack is going to be painful for users. Now they won’t be able to use the pre-bundled EarPods with Lightning connector with their laptop or any other device, for that matter. Having said that, the final death knell on the ancient 3.5mm audio jack could be good for users eventually as we explained earlier today. This could eventually bring in better wireless headsets and also usher in better audio performance for iPhones. Another advantage of the removal of the 3.5mm audio jack would be some space saving inside the new iPhones, which Apple could use to either add new sensors or to increase battery consumption or just to make the iPhones slimmer. Apple has also announced AirPods, the company’s first truly wireless headphones. Apple has used a W1 chip to for Intelligent, high-efficiency playback, while offering consistent and reliable connection. 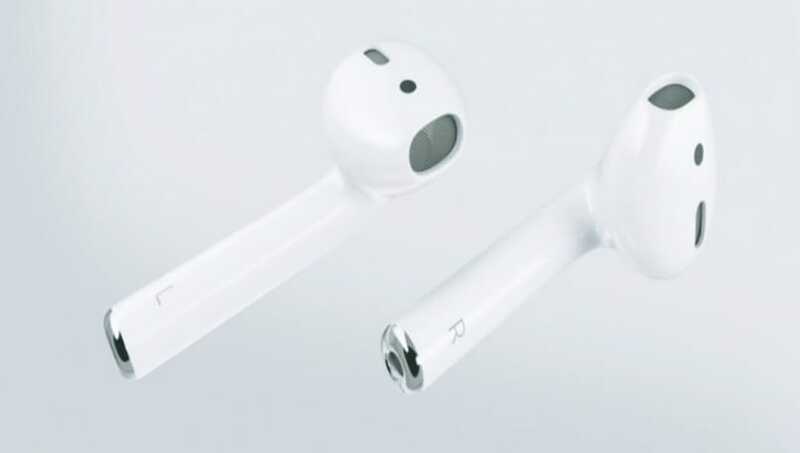 It also has infrared sensors that detects when AirPods are in your ear. You can even double tap to access Siri. The AirPods also come with voice accelerometers that detect the source of your voice to form beaming, thus reduce ambient noise. On a single charge, AirPods can last for up to five hours of continuous usage. The AirPods are priced at $159 (approximately Rs 10,500) and will go on sale in late October.